This course is life changing, in that, not only will you learn to give Angelic Reiki healings to yourself and others, but the highest vibration of Divine Love will be anchored into your own consciousness through a downpouring of Soul energy, giving you the power to change your reality. If you wish to re-awaken your divine awareness, if you would like to change your life and become whole and healthy, embracing true joy, perhaps you will be drawn to Angelic Reiki. Angelic Reiki is different to other forms of healing in that, rather than working alongside the angels (which many of you may already be doing), you actually open yourself up to become a channel of pure Angelic Healing energy..... you literally become the Angel! In order to be able to house this energy within your own body, you will experience several cleansings and attunements over the weekend which will help you to raise your vibrational frequency and let go of anything in your life that no longer serves you. In other forms of Reiki, attunements are conducted by the Master/Teacher at whatever level of consciousness they have achieved. However with Angelic Reiki, Angels (not the Master/Teacher) perform the attunements at pure, divine consciousness level. These Angelic attunements impact profoundly at molecular level, it will change your DNA, your cells and molecules and activate your lightbody. It will enable you to be energetically initiated into the Angelic Vibration of the Divine Archetypes upon which consciousness is based. This facilitates more perfect blending of their own energy with that of the Angels. Even if you are not interested in offering Angelic Reiki as a therapy, this course will be very beneficial in supporting your own personal healing and spiritual journey. It may help you to open up your gifts or spiritual talents, or to reveal your life's purpose. This course will also teach you how to call on the Angels for help in your everyday life. It is not necessary for you to have done any other form of healing before attending this course, beginners are very welcome. 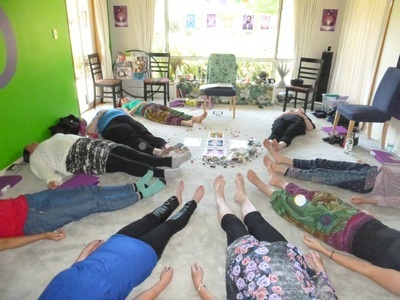 You will however benefit from an Angelic Reiki Healing in the weeks leading up to the course, to get the Angelic Energy running through you and to start the cleansing process before the course. 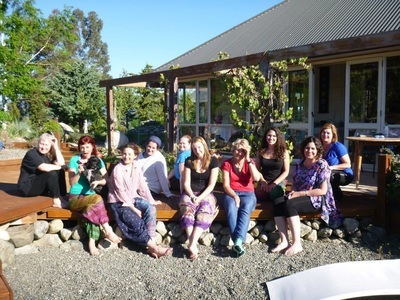 If you would like more information about this Angelic Reiki training course and retreat over night stay options. 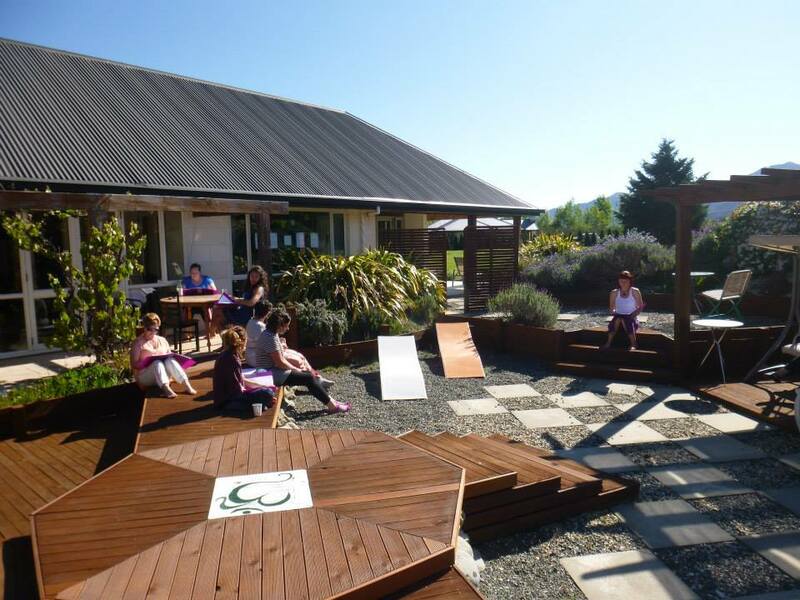 , please do not hesitate to contact me: Mary Jo Tel: 0212802447 / Email: mj@vibrantliving.co.nz . 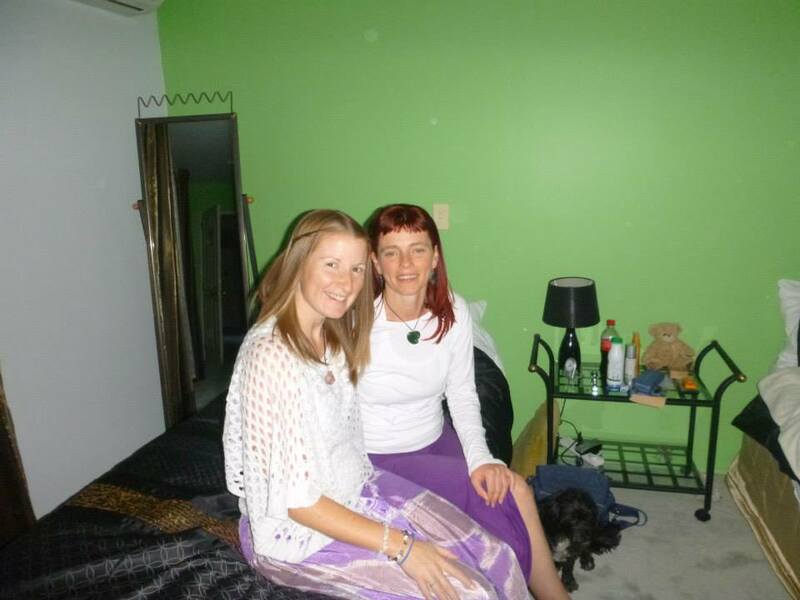 Mary Jo has been trained to Angelic Reiki Master Teacher Level by Rebecca Gambles ( 2 Soul Sisters ) in July 2017 and Angelic Reiki 1 & 2, 3 & 4 twice in 2015 and 2016 . 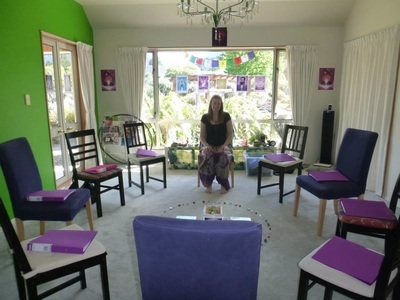 Mary Jo also trained in Rebecca Gambles Past Life Healing course and is a Quantum Healing Hypnosis Technique (QHHT ) facilitator in the Dolores Cannon Method since 2013. In June 2018 Rebecca & Mary Jo co-run a 7 night / 8 day Rainbow Wellness Retreat ( Chakra Wisdom ) held at Vibrant living Retreat and a 2nd R.W. retreat to be held AUG / SEPT 2019 in Tonga on a paradise island including swimming with the Whales. Pictures taken at Rebecca's Angelic Reiki Level 1 & 2 Training November 2015 with 9 women in attendance at Vibrant Living Retreat.